I get it that as a mom you're probably or should I say you're already wearing lots of hats. You know...a wife, a sister, a mother, a friend, a volunteer, and the list keeps going on and on. There is something deep down inside of you that you want to try, do, or create something for yourself. But you can't do it, try it, or even start it cause there are beliefs you keep telling yourself. A belief is defined as an acceptance that a statement is true or that something exists. 1. You have to put your kids and/or partner before you because you're a wife and mom now. That's totally false. Yes, I'm saying it. I know many people don't agree with me and that's okay. I believe that for anyone to love and care for another person they must put themselves first, take care of themselves first, and love themselves first before they can unselfishly give themselves to anyone else in their life. When you give a lot of you to a lot of people without giving a lot of you to yourself, you're always going to want "your" time. "How do I even have time for myself? I don't even have 2 seconds to breath." Well don't ask for time to step away for some alone time. Tell your partner that on this day and this time you're going to do this for 30 minutes or an 1 hour. If you're going to be away for a long period of time, plan ahead. For example, prep meals or make a list of things to do while you're gone. Sometimes as a mom all we need is a trip to the grocery store with no kids and no partner or take a shower without feeling rushed to reset. While you are away don't call every second to check on your kids. What's the point of being away? 2. You have to be present at every family event and your kids' events/milestones. You're thinking, "Man I have might have to miss some family events to start a business. What! I might miss my kid's birthday cause I have to take this workshop. I can't do that.I need to be there for my kids. My family will be hurt if if I don't show up for their events." I get it. I was there once and sometimes still encounter similar situations today. When I started my photography business I had to give up a lot of weekends. My oldest son was only 9 months at the time and on top of that I was breastfeeding. I was taking my first ever photography workshop and I was going to be gone for 3 days. Trust me, my heart was breaking, but I knew I wanted to do something different for this little human I just created and for my little family. I wanted change, and change means I'll need to do some things I don't want to do, but it'll get me closer to my life goals. Note: I'm not saying you need to sacrifice your family so you can build your business. There's a balance!! you need to find and define that balance for you and your family. There's no such thing as the right balance. My advice is sit down with your family and tell them what changes they will be seeing. You're setting the expectations. Be prepare that they may not like the changes and thinking you've gone off to the deep end by chasing this crazy dream of yours, but you have to be willing to stand in the fire to fight for what you want. 3. 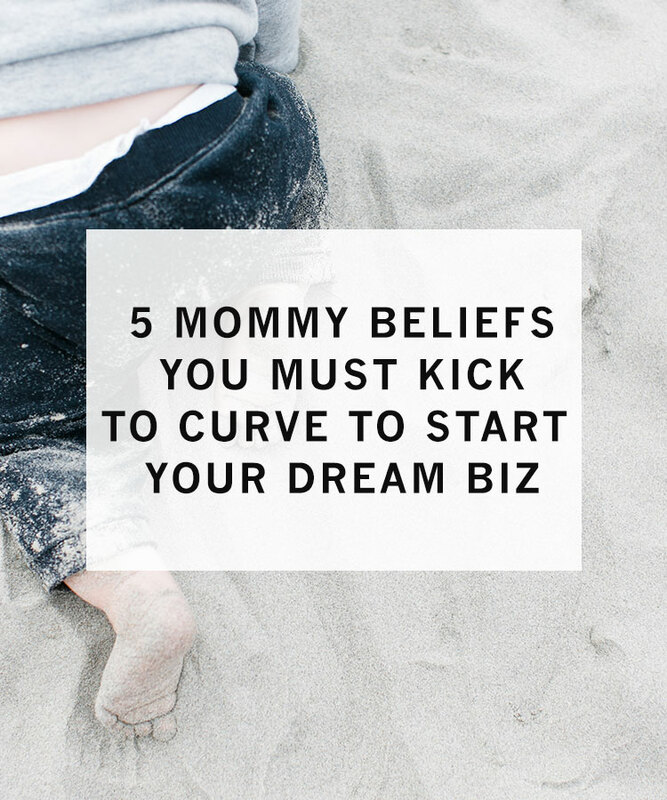 You'll start your dream biz when everything is aligned, perfect, and settled. Let me be honest!! If you're waiting for that day when everything is aligned and the light turns green, it's not going to happen. Something is going to happen, problems is going to arise, and the green light will never show up. You're going to wonder when it's going to be your turn to shine. I'm telling you to not wait for things to be "perfect". I believe in the midst of chaos something beautiful always comes out of it. I'm asking you to just simply start. 4. There's no time for you to start a business. There's always time if we make time. People tell me all the time they don't have time, but they can tell me the latest update on Scandal or what's going on with Kim Kardashian. Take that time that you would used to watch your favorite show or getting the latest gossip news, and use it to learn how to build your business. At the end of the day the shows and the gossips won't make your life better or your bank account bigger. And the excuse I get is, "That's the only time I get for myself." So my response is... use that time to build the life you want. The decision is yours my friend. 5. That mom is able to that because she has _____ and________. Many said I could do this because I have a supportive husband, my kids gave me time, my family helps me out and now... people say, "Oh you can do this because you don't work your 9-5 job anymore." It's all true and I agreed. My husband supported me cause he started to see that while he was taking care of my kids, I was making progress. No money yet in the beginning, but progress. Yes, eventually I started to bring money. My family helped me out, but let's be honest, at the same time they wanted to see that while they were helping me out, I was really doing something too. I worked a 9-5 job while trying to build my photography business (my very first business). While you're busy making excuses as to why she's successful. What you won't see is the stress that keeps her up at night to keep it together, the things she gave up to build her success, and the emotional roller coaster she goes through. Stop with the excuses and execute! !